Mark Cuban loves hustle. It’s part of his personal history, and you can also see it when his face lights up as he listens to business owners and entrepreneurs tell their own tales of hustle on ABC’s Shark Tank. As an investor, Mark chooses to partner with business owners who have demonstrated that they will work hard and do whatever it takes to make their business succeed. At SXSW 2016, I had the opportunity to speak with Mark about why he loves hustle. 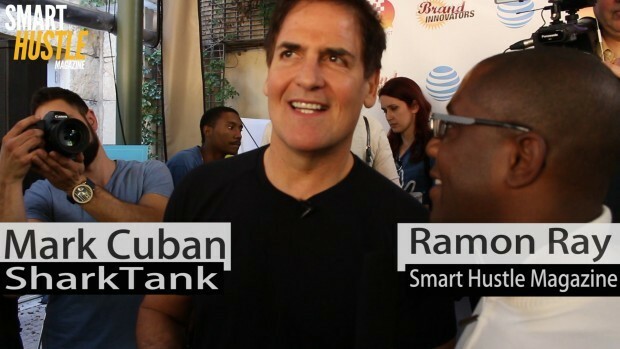 This quick interview – plus a compilation of quotes made over the years – demonstrate how Mark Cuban loves hustle and why it is a vital characteristic of any successful business owner. This quote comes from my SXSW 2016 interview with Marc, who says that every business owner will face challenges and setbacks. In order to make it through, you have to be prepared to hustle. Rewards are earned through hard work. If you’re not willing to put in the time, there are others out there who will work harder and beat you to the punch. You won’t find success unless you’re willing to devote everything you have to your business. No business venture will go completely as planned and you will encounter bumps and challenges along the way. Instead of worrying about these things that you can’t control, be aware of what you can control – your all-in effort and your ability to hustle. 8 inspiring quotes from @mcuban to keep you in the hustle. In this quote about his own journey, Mark tells us that he has always been a hustler, but even more a smart hustler. A unique characteristic of hustling entrepreneurs is that they don’t let their past failures get them down. Failure is part of the hustle for success. Having a great idea doesn’t mean anything unless you can follow through with actions. Hustlers take their dreams and turn them into reality with hard work and determination. This quote reminds us that hustle is good, but smart hustle is even better. To be successful, you must do your homework and make calculated moves. Smart hustlers not only have a goal, but they also have a calculated path to reach that goal.